Long before 88Nine Radio Milwaukee brought you new music and community stories, WYMS 88.9 FM was “Jazz 89”. To celebrate this heritage we’re converting our Walker’s Point home into a jazz club, complete with light bites, cocktails, and of course jazz music! Join us for a unique music experience! 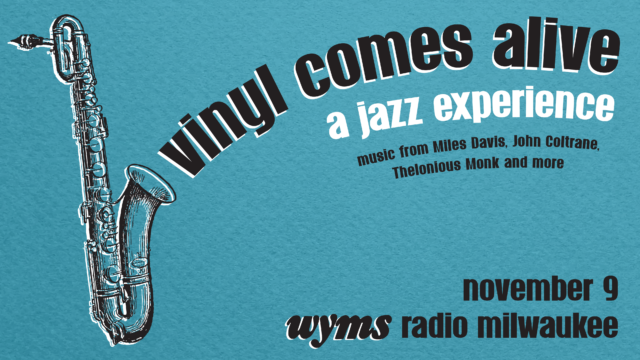 The night will include a combination of vinyl from the original WYMS jazz collection and live performances with local musicians playing classics from Miles Davis, Thelonious Monk, John Coltrane, Herbie Hancock and more. Only 100 guests will get to experience this exclusive performance. Don’t miss your chance to purchase tickets before they go on sale to the general public! All proceeds from Vinyl Comes Alive directly benefit nonprofit 88Nine Radio Milwaukee.